Draft: 2009, Toronto Blue Jays, 15th rd. Full name is Andrew Scott Hutchison… graduated from Lakeland Senior H.S. (Fla.) in 2009… was committed to play at Stetson (Fla.) University prior to signing with Toronto. Split the 2018 season between the Phillies and Rangers, going 2-2 with a 6.75 ERA (42.2IP, 50H, 32ER, 26BB, 31K, 9HR) in 16 games (five starts)… made the Phillies Opening Day roster and posted a 1-1 record and 4.64 ERA (21.1IP, 21H, 11ER, 13BB, 19K, 4HR) in 11 relief appearances before being designated for assignment on 5/31… was outrighted on 6/4 and elected free agency… signed with the Dodgers on 6/16 and pitched in nine games (seven starts) at Triple-A Oklahoma City, going 4-1 with a 2.14 ERA (42.0IP, 38H, 10ER, 13BB, 40K, 1HR)… was released on 7/31… signed a Major League contract with Texas on 8/5 and was 1-1 with an 8.85 ERA (21.1IP, 21ER) in five starts. Spent entire season with Indianapolis (AAA)...Named an International League midseason All-Star...Tied for the IL lead in starts (26) and innings (159.1) and finished 10th in ERA (3.56)...Posted a 1.87 ERA (7 ER, 33.2 IP) in June and a 1.91 ERA (8 ER, 37.2 IP) in August... Opposing hitters batted just .199 (31-156) against him with RISP... Allowed 2 ER or fewer in 16 of 26 starts, and 1 or none in 9 of those starts ...In his final 19 games (17 GS), surrendered only 6 HR in 109.2 IP (0.49 HR/9.0 IP. Went 7-6 with a 3.59 ERA (138.0ip/55er) and 138 strikeouts in 25 total games (24 starts) between Buffalo (Blue Jays' AAA) and Triple-A Indianapolis...Ranked eighth in the International League in ERA, third in strikeouts and batting average against (.224) and fifth in WHIP (1.20)...Also finished second among league starting pitchers in strikeouts per 9.0ip (9.13)...Began season with Buffalo...Struck out nine batters and gave up just one hit and one run in season debut on 4/8 at Pawtucket (5.0ip), but the Bisons lost a 2-0 decision...Did not allow a hit while pitching 4.1 innings and giving up one run in a no-decision on 4/13 at Syracuse...Was recalled by Toronto on 4/24 and won a 6-3 decision that night vs. Oakland (5.2ip/2er)...Was optioned back to Buffalo on 4/26...Won four straight starts between 6/12-28 and six-of-seven between 5/26 and 6/28...Was recalled a second time by Toronto on 7/2...Made his third career relief appearance with the Blue Jays on 7/2 vs. Cleveland (1.0ip/2er)...Made final start with Toronto on 7/7 vs. Detroit and received a no-decision (6.0ip/3er)...Was optioned to Buffalo on 7/8...Suffered losses on 7/18 vs. Norfolk (2.2ip/6er) and 7/28 vs. Syracuse (6.0ip/3er)...Was acquired by Pittsburgh on 8/1 and was assigned to Indianapolis...Made first start with Indians on 8/3 and received a no-decision (7.0ip/4er)...Gave up just three hits and one run in 5.0ip on 8/13 at Lehigh Valley...Suffered lone loss with Indy on 8/24 vs. Columbus (5.0ip/3er)...Surrendered three runs (two earned) while pitching 3.0 innings of relief on 8/29 vs. Toledo...Won his final start on 9/3 vs. Louisville (6.1ip/0r) ...Was recalled by Pittsburgh on 9/6 and made his debut with the Pirates as a starter on 9/10 vs. Cincinnati (4.0ip/4er)...Made his final five appearances in relief (7.1ip/3er)...Went 1-0 with a 5.25 ERA (24.0ip/14er) in nine big league games (three starts) between Toronto and Pittsburgh. His 32 starts ranked T-2nd on club...Led the team with 184 strikeouts despite having just the 3rd-most innings...The 184 strikeouts and 8.97 K/9 were both 8th in the AL. Fanned a career-high 11 batters on Sept. 16 at BAL & struck out 10+ in back-to-back outings (21 total over 12.2 IP)… Became the 1st Blue Jay to record back-to-back 10+SO games since A.J. Burnett in 2007 (June 1&7). Tossed his first career complete game and shutout on May 16, 2014 at TEX, allowing just three hits and one walk in the 2-0 win. Aug. 6 vs. BAL (8.2IP/1H) & Aug. 30 vs. NYY (7IP/1H), allowed just one hit and is the 1st pitcher in the ML since R.A. Dickey (June, 2012) to toss two games when allowing just one-hit while working at least 7.0 IP in the same month…Did not surrender a run in six of his starts. Lasted only four innings in his Sept. 21 start at NYY in a 5-2 loss...Was removed after 94 pitches, despite allowing just two runs over 4+ innings ... The outing ended a string of 26 straight games with 6+ IP by Blue Jays' starters, the longest streak in franchise history and longest by any club since 2003. Snapped a 3-GM losing streak on July 26 at NYY which coincided with the club snapping a 17-GM losing streak at Yankee Stadium. On May 26 vs. TB, became the 1st Jay to win a game when allowing 3-HR since Brandon Morrow on May 23, 2013 vs. BAL … Is the 1st Jay to win a game when issuing at least 4-BB without recording a SO since Aug. 19, 1997 vs. CWS (Chris Carpenter)…In fact, it marks the 1st time since April 19, 1948 (Phil Marchildon - 3HR, 5-BB, 0-SO) that any starter in the Majors won a game when allowing 3-HR while issuing at least 4-BB with 0-SO. Retired 26 of the 28 batters he faced on Aug. 6 at BAL, including 22 consecutive following C. Davis HR in the 2nd inning … Marked the 1st time a TOR starter allowed one hit when working at least 8.0 IP since Aug. 2, 2011 at TB (Ricky Romero: 8.1 IP, H)... Became the 1st ML pitcher in almost five years to set down 22 straight batters immediately after giving up a HR … That had last been done by Ricky Nolasco (MIA), who was perfect vs. 23 consecutive Astros hitters after yielding a HR on Aug. 18, 2009. Over his last seven starts fanned 57 to rank 3rd in the AL...His 12.61 K/9 total over that span was 1st in the Majors. Over his last five home starts went 4-0 with a 1.36 ERA, fanning 11.5 per nine and limiting opponents to a .147 average. In six starts vs. the AL East champion Orioles, posted a 3-1 record with a 2.54 ERA and was the only AL pitcher to record 3 wins vs. the Orioles in 2014..In fact, held the Orioles to a .188 team average...Now holds a career 4-1 record vs. BAL with a 2.29 ERA in eight starts, allowing more than two runs in just one of those contests. Missed the first 115 contests of the season while recovering from Tommy John surgery performed in August 2012. Was removed from the disabled list on August 10 and assigned to Buffalo Bisons (AAA)…Made five starts in Buffalo posting a 6.63 ERA over those games. Appeared in three games for Dunedin (A) on his rehab assignment recording a 1.04 ERA with 12 strikeouts over 8.2 innings… Also made two starts for New Hampshire (AA) going 0-1 with a 4.70 ERA while rehabbing his right elbow. Assigned to the Arizona Fall League as part of the Salt River Rafters, going 2-1 with a 3.32 ERA in six starts. Became the 8th youngest pitcher to ever start a game for the Blue Jays on April 21 at KC, Jeff Byrd (20 years-221 days), Phil Huffman (20-294), Henderson Alvarez (21-114), Roy Halladay (21-129), Mike Darr (21-167), Jerry Garvin (21-171), Jim Clancy (21-220), Drew Hutchison (21-243)... Picked up the win becoming the first Blue Jays pitcher to win his debut since Ricky Romero on April 9, 2009...Is one home win short of tying Jesse Carlson (2008) and Jeff Musselman (1987) for most consecutive home decisions won to start a career at four...Left his last start after just 0.2 innings and nine pitches vs. PHI on June 15 with right elbow soreness..Was the 3rd starter in four starts to leave due to injury (Morrow-oblique, Drabek-elbow)...Had Tommy John surgery in August...Recorded four quality starts in his last six (excluding his final start), posting a 4-2 record with a 3.47 ERA... In the four wins allowed just three total earned runs in 26 innings...Held opponents to a .257 average...The first time through the order batters hit just .188... In five home starts posted a 3-0 record with a 2.36 ERA... Was 2-3 with a 6.47 ERA on the road...Suffered his first Major League loss and allowed Albert Pujols' first AL home run on May 6 at LAA... Fanned nine on May 28 vs. BAL and tossed seven innings twice (May 28 vs. BAL, June 3 vs. BOS)...Team was 7-4 in his starts and walked one or less in six of them. Spent time at three different levels in 2011, starting in Lansing (Low-A), moving to Dunedin (High-A) and finishing in New Hampshire (AA), combining to go 14-5 with a 2.53 ERA in 28 games (27 starts)... A STAR AT LANSING: Made 14 starts for the Lugnuts... Was the Pitcher of the Week from June13-19 for the Midwest League... Won his final five starts, and in his final four, tossed six innings in each outing without allowing an earned run... FLORIDA BOUND: Was promoted to Dunedin after his June 19 start and made 11 appearances, 10 starts... In his 10 starts posted a 5-2 record with a 1.86 ERA, including a 1.57 ERA in his last four starts... Right-handed hitters batted just .161 while with the Dunedn Blue Jays... A STEP UP: Made his final three starts of the year at New Hampshire (AA)... Won all three starts, allowing runs in only one of his starts... Held Eastern League hitters to a .192 average... For his efforts was named Eastern League Pitcher of the Week from Aug. 29-Sept. 5. Made his professional debut at Auburn (Short Season-A)... Picked up his first win on July 10, tossing five innings of 2-run ball... Held NY-Penn League hitters to a .201 average... Was promoted to Lansing (Low-A) for the balance of the season... Made five starts for the Lugnuts, allowing zero or one run in four of five starts... Midwest League hitters batted just .191... Overall combined to go 2-3 with a 2.49 ERA in 15 starts. January 11, 2019 New York Yankees signed free agent RHP Drew Hutchison to a minor league contract and invited him to spring training. 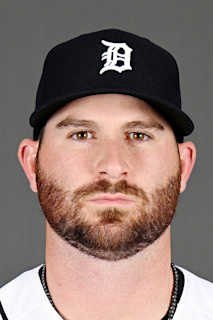 January 11, 2019 RHP Drew Hutchison assigned to Scranton/Wilkes-Barre RailRiders. October 4, 2018 RHP Drew Hutchison elected free agency. September 3, 2018 Texas Rangers sent Drew Hutchison outright to Round Rock Express. August 5, 2018 Texas Rangers signed free agent RHP Drew Hutchison. July 31, 2018 Oklahoma City Dodgers released RHP Drew Hutchison. June 16, 2018 Los Angeles Dodgers signed free agent RHP Drew Hutchison to a minor league contract. June 16, 2018 RHP Drew Hutchison assigned to Oklahoma City Dodgers. June 5, 2018 RHP Drew Hutchison elected free agency. June 4, 2018 Philadelphia Phillies sent RHP Drew Hutchison outright to Lehigh Valley IronPigs. May 31, 2018 Philadelphia Phillies designated RHP Drew Hutchison for assignment. March 25, 2018 Philadelphia Phillies selected the contract of RHP Drew Hutchison from Lehigh Valley IronPigs. February 15, 2018 Philadelphia Phillies signed free agent RHP Drew Hutchison to a minor league contract and invited him to spring training. February 15, 2018 RHP Drew Hutchison assigned to Lehigh Valley IronPigs. October 2, 2017 RHP Drew Hutchison elected free agency. September 15, 2017 Pittsburgh Pirates sent RHP Drew Hutchison outright to Indianapolis Indians. March 29, 2017 Pittsburgh Pirates optioned RHP Drew Hutchison to Indianapolis Indians. September 6, 2016 Pittsburgh Pirates recalled Drew Hutchison from Indianapolis Indians. August 1, 2016 Toronto Blue Jays traded RHP Drew Hutchison to Pittsburgh Pirates for LHP Francisco Liriano, RF Harold Ramirez and C Reese McGuire. August 1, 2016 Pittsburgh Pirates optioned RHP Drew Hutchison to Indianapolis Indians. July 8, 2016 Toronto Blue Jays optioned Drew Hutchison to Buffalo Bisons. July 2, 2016 Toronto Blue Jays recalled Drew Hutchison from Buffalo Bisons. April 29, 2016 Buffalo Bisons activated RHP Drew Hutchison. April 26, 2016 Toronto Blue Jays optioned RHP Drew Hutchison to Buffalo Bisons. April 24, 2016 Toronto Blue Jays recalled Drew Hutchison from Buffalo Bisons. March 28, 2016 Toronto Blue Jays optioned RHP Drew Hutchison to Buffalo Bisons. October 24, 2015 Drew Hutchison roster status changed by Toronto Blue Jays. October 8, 2015 Toronto Blue Jays reassigned RHP Drew Hutchison to the minor leagues. August 29, 2015 Toronto Blue Jays recalled RHP Drew Hutchison from Buffalo Bisons. August 17, 2015 Toronto Blue Jays optioned RHP Drew Hutchison to Buffalo Bisons. October 1, 2013 Toronto Blue Jays recalled Drew Hutchison from Buffalo Bisons. September 16, 2013 RHP Drew Hutchison assigned to Salt River Rafters. August 10, 2013 Toronto Blue Jays optioned Drew Hutchison to Buffalo Bisons. August 8, 2013 Toronto Blue Jays sent RHP Drew Hutchison on a rehab assignment to Buffalo Bisons. July 30, 2013 Toronto Blue Jays sent RHP Drew Hutchison on a rehab assignment to New Hampshire Fisher Cats. July 15, 2013 Drew Hutchison assigned to Dunedin Blue Jays from Toronto Blue Jays. July 14, 2013 Toronto Blue Jays sent RHP Drew Hutchison on a rehab assignment to Dunedin Blue Jays. March 22, 2013 Drew Hutchison roster status changed by Toronto Blue Jays. October 31, 2012 Toronto Blue Jays activated RHP Drew Hutchison from the 60-day disabled list. June 26, 2012 Toronto Blue Jays transferred RHP Drew Hutchison from the 15-day disabled list to the 60-day disabled list. June 16, 2012 Toronto Blue Jays placed RHP Drew Hutchison on the 15-day disabled list. Sprained right elbow. April 20, 2012 Toronto Blue Jays selected the contract of RHP Drew Hutchison from New Hampshire Fisher Cats. March 31, 2012 Drew Hutchison assigned to New Hampshire Fisher Cats from Dunedin Blue Jays. January 20, 2012 Toronto Blue Jays invited non-roster RHP Drew Hutchison to spring training. September 13, 2011 Drew Hutchison assigned to Dunedin Blue Jays from New Hampshire Fisher Cats. August 20, 2011 Drew Hutchison assigned to New Hampshire Fisher Cats from Dunedin Blue Jays. June 26, 2011 Drew Hutchison assigned to Dunedin Blue Jays from Lansing Lugnuts. March 26, 2011 RHP Drew Hutchison assigned to Toronto Blue Jays. August 11, 2010 Drew Hutchison assigned to Lansing Lugnuts from Auburn Doubledays. June 18, 2010 Drew Hutchison assigned to Auburn Doubledays from Toronto Blue Jays. June 17, 2010 Toronto Blue Jays signed RHP Drew Hutchison.